RFID (radio-frequency identification) technology has been found to generate considerable cost savings and increase efficiency in a variety of sectors like supply chain management, asset management, and information technology departments due to its ability to capture data without any human intervention. Utilizing RFID in healthcare has been explored with great interest in recent years not only because of a legislative mandate to use new technology in healthcare, but for its potential to benefit patient safety, provide accurate patient and asset tracking, and enhance efficiencies in patient care. For example, RFID systems can identify medical staff, patients, medications, and blood sampling data all in real time. 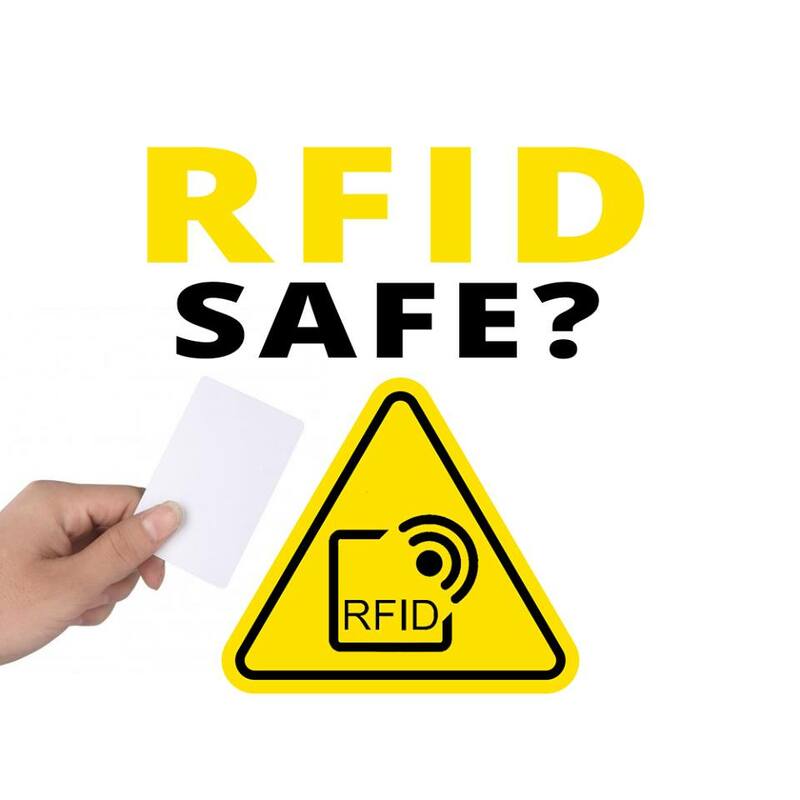 The adoption of RFID in hospitals has been somewhat slow due to questions about data security, privacy, and concerns about radio frequency interruption due to older infrastructure in many facilities. However, apprehension about these risks largely stem from unfamiliarity with the technology and poor implementation strategies. These issues can be mitigated with in-depth analyses of risk/benefits, return on investment analyses, extensive testing prior to implementation, educating staff on the technology and its benefits, and taking steps for appropriate security measures to ensure patient privacy. Tangent is well aware of the national mandate from the HITECH (Health Information Technology for Clinical Health) Act of 2015 to implement new health information technology and improve healthcare delivery. With that, they aim to stay at the forefront of technology that can be integrated into their medical devices. 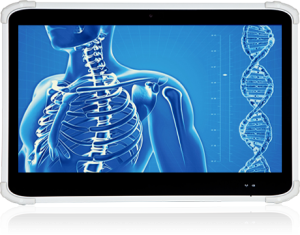 An excellent example is the Tangent Medix T13 medical tablet PC. This tablet is packed with a treasure trove of useful features for only being 13” inches. The enclosure is factory treated with a medical grade antimicrobial coating and is rated at an IP54 level of protection against contaminant or liquid ingress into the unit. The touchscreen is a PCAP multitouch, the computer’s Ultramobile processor can be an Intel Core i7, i5, or Celeron, and the unit has TPM 2.0 support. The Medix medical tablet has a full-slot smart card reader and SD card readers. This allows for clocking in, secure logging in to the system, accepting payments and a great number of other uses with a card. An optional barcode scanner can allow for scanning of medications or patient wristbands. A desktop charging cradle, wall and vehicle mounting accessories, and a handheld wrist strap for the T13 medical tablet provide numerous ways to interact with the device. And keeping with the topic of this blog entry, an optional RFID reader in the T13 medical tablet allows hospital staff to identify, track, and retrieve data on most anything in the facility. As hospitals and clinics are urged to adopt newer technologies by governing bodies, it’s important for providers to stay ahead of the curve on offering these features in their computing devices. Tangent’s mission is to provide medical care providers all the tools they need to give the best care and to stay up-to-date with regulations and recommendations. When implemented correctly, technologies like RFID can create highly visible benefits to both patients and care facilities.